Just ideal for garden themed engagement soirees during the summer months, this classic darling exudes carefree romance and sweet memories. Its sweet blush pink shade stands out as the background of an intricate floral patterned wrap. 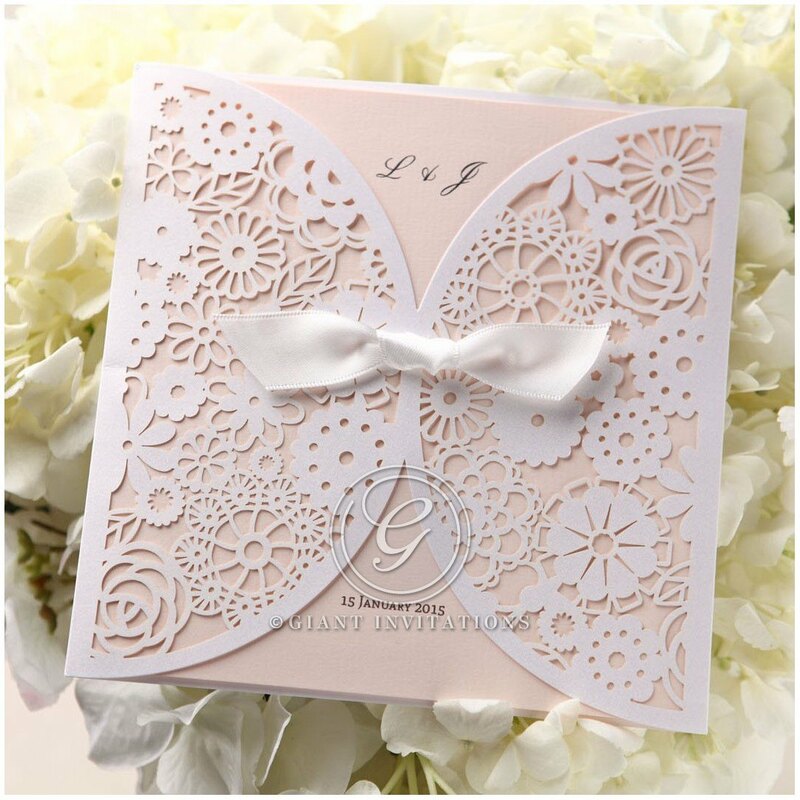 The laser cut blooms are detailed onto a pearlised white card stock that is kept together by a simple white satin bow mimicking a pocket like invite. 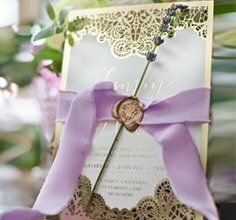 Inside this delicate pocket is a tri-fold pastel coloured inner card that brings the patterned blooms to life. Elegance is not amiss on this favorite design as your personalised wording are printed on the inner card using luxurious raised ink for a shimmering textured effect. Absolutely beautiful invitations, the attention to detail is spot on and you can't fault anything, and for the samples to come in 3 business days great service and fantastic customer service. I don't know which one to choose out of my 5 samples, I would definitely recommend these invitations to friends and family. Thank you for sending my samples out and to be able to purchase samples for $2.00 each it's really worth it. I can't believe how amazing these invitations are, I looked at so many online sites and could not find anything close to the ones on here. I ordered 5 samples and only had to wait 1 day to receive them (express shipping) and fell in love with them straight away. The quality, texture, colours and styles will blow you away. I am now ordering another 60 invites for my engagement party and can't wait to send them out! you will not regret getting these special invitations, absolutley the best! !